I returned to Bali with my wife and daughter over the US holiday of Memorial Day weekend. I had put together a nice DVD for Tauch Terminal Resort the year before showcasing the dive sites and the resort facility. The goal of this trip was to capture more of the stunning dive scenery but this time in HD using my Light & Motion FX1 set up. We could not have been more fortunate on this visit. During our entire stay, the seas were flat, the winds were a mere breeze, the sun was shining and underwater the visibility was spectacular. 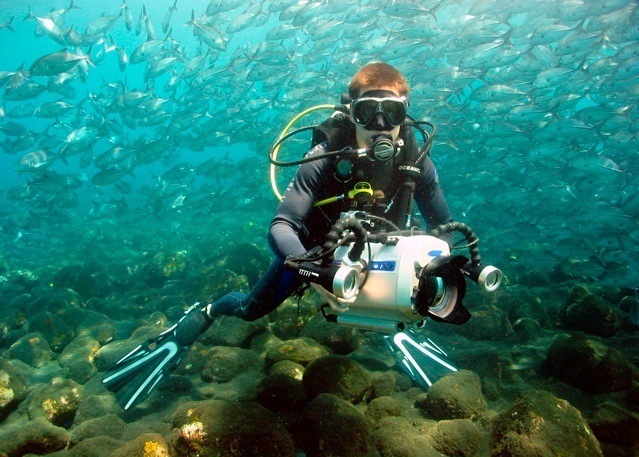 Most of the diving in Tulamen is a stones throw from the shore. Any inclement weather and the visibility can deteriorate rapidly. Not this time. Down at 30 meters, I could see from one end to the other of the Liberty Wreck. 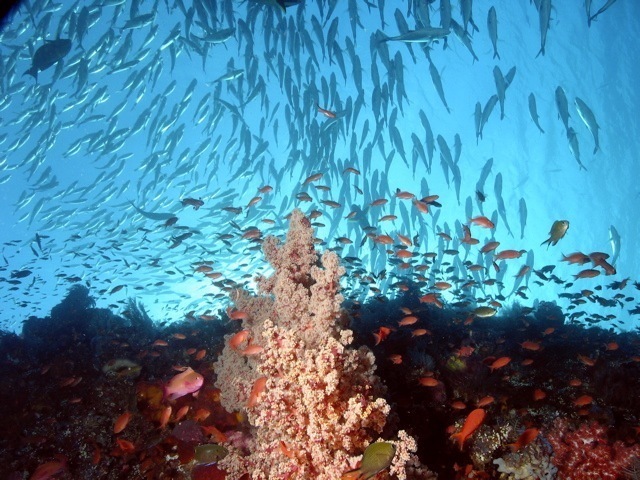 In the Coral Gardens in less than 10 meters of water, the vibrant reef and colorful fish were amazing. And at Jack Point, just 10 meters from the shore, the local school of several hundred jacks were putting on a real show. Tulamben Bali is paradise for divers seeking world class diving without the overhead of long boat trips and live-aboards. Nowhere else in the world (that I know of) can you walk 150 feet down the beach from the door off the resort, slip on your BC and tank (which I should mention are carried by porters), swim 100 feet off the shore and spend the next hour exploring the beauty of one of the most beautiful wrecks I have ever dived. The liberty ship was left aground to rust shortly following world world II. Years later, a volcanic eruption followed by an earthquake shook the vessel free, allowing it to slide into the water and settle at a depth of 100 feel. It didn’t take long for corals to take hold and fish to set up homes. Today every square inch of the wreck is covered in rich layers of hard and soft corals, sponges, anemones and fans. The wreck is rich with macro life such as colorful nudibranchs, shrimp, ghost pipefish, pigmy seahorse, and frog fish. Fish of all shapes and sizes pour over the wreck, with a squadron of bumphead parrot fish and spiraling jacks as the finale. I spent a long weekend with my family and friends diving, relaxing and enjoying the beauty that is so uniquely Bali.